Childhood favorite chocolate milk, it turns out, is one of the best post-workout recovery drinks available. While sports drinks can be great for post-workout recovery, they're not the only thing you can sip to boost muscle regrowth, reduce soreness and replenish essential electrolytes and nutrients. In fact, your refrigerator and cupboards probably contain a few more effective—and cheaper—alternatives. While sports drinks can be a good option, they aren’t the best choice for every single workout. They're probably best reserved for very hot or humid days when excessive sweating is a concern, or during workouts longer than an hour. Plus, classic sports drinks like Gatorade and Powerade are better for replenishing electrolytes during exercise than for recovery after a workout. So rather than dish out extra cash for another case of sports drinks, check your kitchen for these beverages, instead. 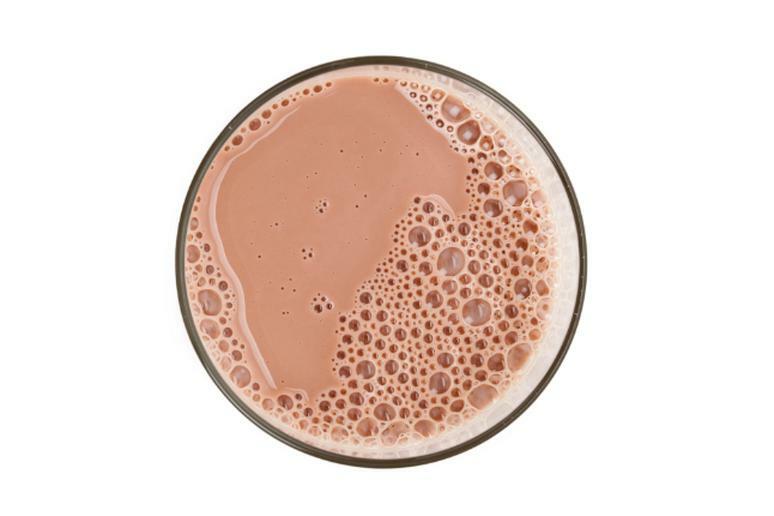 A serving of protein-rich, low-fat chocolate milk after a workout is the perfect recovery drink for muscles. And it's better than regular milk, becaues the extra sugar in the chocolate helps your body to more quickly absorb and use that protein. The drink rivals many sports recovery drinks with its ideal 4:1 ratio of carbohydrates to protein content. Need a jolt? Grab some java. The caffeine in coffee helps accelerate the absorption of carbohydrates, which your body needs after a tough workout to rebuild its muscle-fueling glycogen stores. Generally, there’s only enough glycogen in a person’s body for one intense workout, so quick replacement is key, particularly on double-workout days. One of exercise’s downsides is it boosts your body's free radicals, potentially throwing off your free radical-antioxidant balance. A cup of chilled, antioxidant-rich tea should nip that in the bud. A new study shows that watermelon juice helps minimize post-workout soreness. If the local supermarket doesn’t sell it, throw the fruit in the blender to create your own batch. Those tart little cherries produce a pain-sapping miracle juice that's great for reducing muscle soreness and inflammation after an especially hard workout. It’s advertised as a healthy alternative to sports drinks because it's basically nature's version of one. Coconut water contains a mix of nutrients similar to a diluted sports drink; just don’t expect it to have the sweet, consumer-friendly taste of a commercial sports drink. Drinking beer after a hard workout isn't so much an indulgence as it is smart refueling (we promise!). The barley-based beverage helps you get the carbohydrates your body craves after a workout, and better than a typical sports drink. Sweat contains salt and potassium the body needs to function, so replenishing these nutrients and water are key to post-workout recovery. One of the quickest ways to do that is to drink tomato-packed vegetable juice, which has been shown to help muscles recover.